Treat your loved one this Christmas with Matt Daley's gift packages! 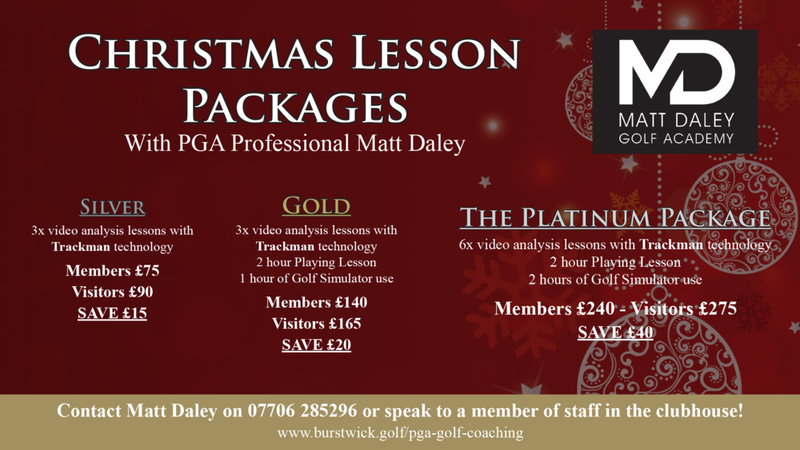 Matt Daley has the perfect gift packages to suit any budget this Christmas! If you have a beloved one who is a keen golfer, or looking to start golf, Matt is the perfect professional to fit the bill. If you would like to purchase give Matt a call on 07706 285296 or come and speak to him at the golf club!